Today I’m handing the mic… er, the keyboard!… over to the woman who is probably my Number 1 fan, Paula Marie. 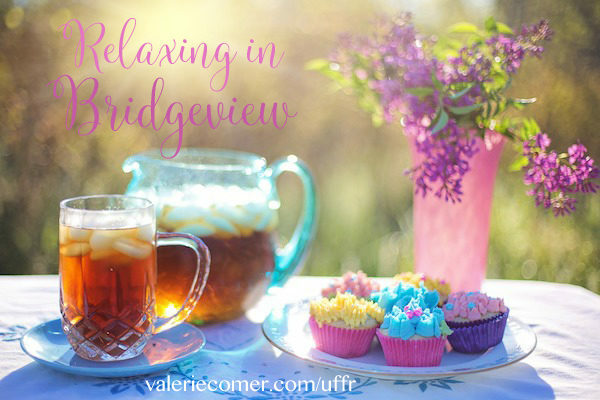 So I have been a huge fan of Valerie Comer’s books for a long time, and I fell in love with Green Acres, but now that the Urban Farm Fresh series has grown so much, I have decided that Bridgeview is the place I want to spend some time in! After all, who wouldn’t want to visit with the locals? 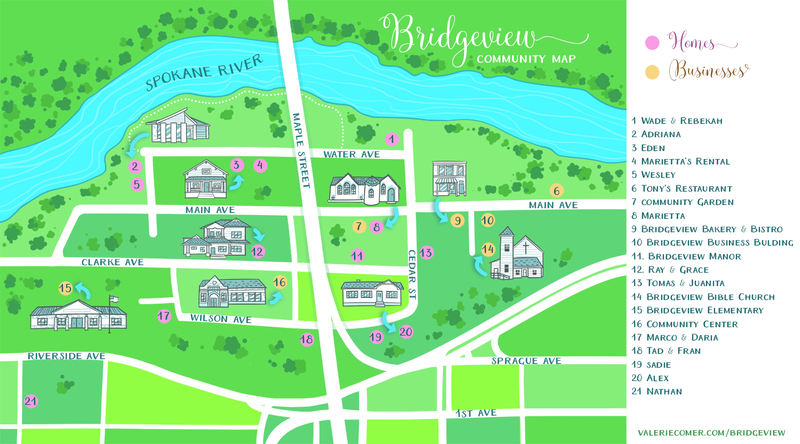 So what would a visit to Bridgeview look like? Well, it just so happens that Mrs. Marietta Santoro and I go way back. It’s even possible we may be distant relatives. With so many Italian ancestors, it’s hard to trace it all the way back just yet, but we keep trying every time we get together! I mention to her how I’d love to come visit again soon, but that I really need to spend the weekend trying to find someone to design and sew up some new curtains for my apartment in Walla Walla first. Imagine my surprise when she tells me all about Adriana Sheridan, the lovely woman who lives near her on the river! Adriana is a whiz at decorating and has made curtains and pillows for a bunch of folks in Bridgeview! Makes spending a few days in Bridgeview a perfect idea! So I call up Adriana and she tells me to take a as many digital photos as I can of the rooms I need curtains for and to come and visit her! I make arrangements to stay for at least a night or two (more if I am having a really good time). I really luck out when my dear friend, Marietta tells me I can stay in her rental, since Logan and Linnea moved out of town, and she has not re-rented it yet! 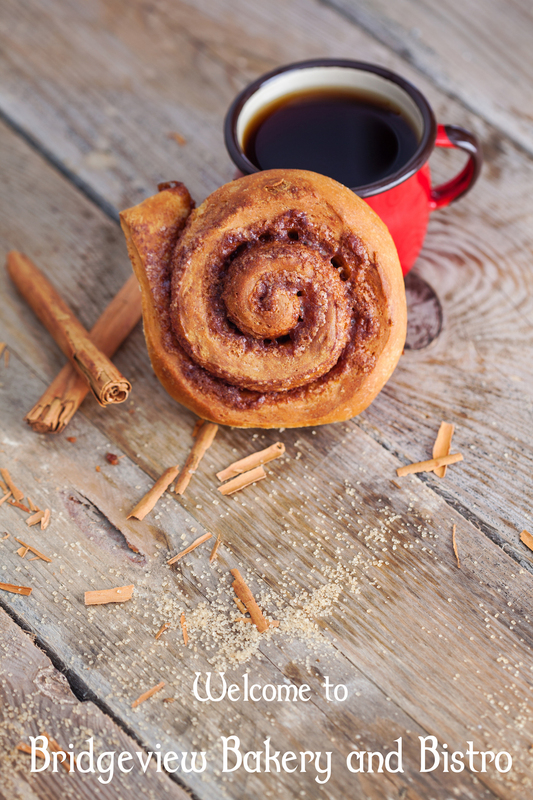 I start my trek from Walla Walla bright and early and head straight for the Bridgeview Bakery & Bistro for some delicious coffee, and yes, a cinnamon roll, of course! I hope that maybe, just maybe, things will not be so busy there that Hailey and Kass can’t spare a few minutes to sit and chat with me before we all get on with our day, which for me is going to be very full! Even if they don’t have the time, it’s almost always a given that some friendly faces are dropping in like Jasmine, Eden, or even Linnea when she and Logan are in town to visit and check on the Community and Butterfly Garden, which unfortunately for me is not this weekend . I enjoy chatting with the people of Bridgeview and spending time with Hailey and Kass. I devour the pastry and coffee and then it’s off to see Marietta! I show up at just the right time. She and her daughter-in-law Grace and her granddaughter-in-law Daria are already there getting ready to spend time canning all the ripened tomatoes from Marietta’s personal garden. As I help, I learn that they are planning to have a big celebration pot luck dinner at the Community Center the very next day, so naturally I suggest making my specialty, eggplant parmesan, if they can round up enough eggplants for me, which Peter, Alex and Jasmine manage to do. I must admit, I sure wish I had wonderful grandchildren around me every day like Marietta does! Exhausted from my busier than anticipated day,I make my way to the rental house and settle in. Stepping out back to enjoy the patio with a glass of fresh iced tea, I take out my newest Arcadia Valley book to read and relax for a bit with the sound of the river rolling by. The peace and quiet ends rather loudly with several bleats coming from next door. What in the world?? Oh, right, Eden’s pygmy goat, Pansy! Grace and Marietta said Eden had been experimenting with goat milk soap lately, not to mention the delicious cheeses Eden makes. Hmmm, wonder if she’d mind a visitor? Of course, this is Bridgeview, and everyone is welcome! Eden and Jacob welcome me over to spend time playing with Pansy and tasting their new cheese recipes. After purchasing several of my favorite cheeses, Eden lets me take a small bar of her latest soap sample with me when we call it a night! I am raring to go in the morning after an amazing night’s sleep. More coffee and cinnamon rolls at The Bridgeview Bakery & Bistro with Kass and Hailey, and then it is off to Adriana’s stunning home on the river. I give Adriana my tablet and she reviews all the photos while I am entertained by Sam, Violet, and their amazing dog, Duke. Hands down the largest and gentlest dog I have ever encountered! 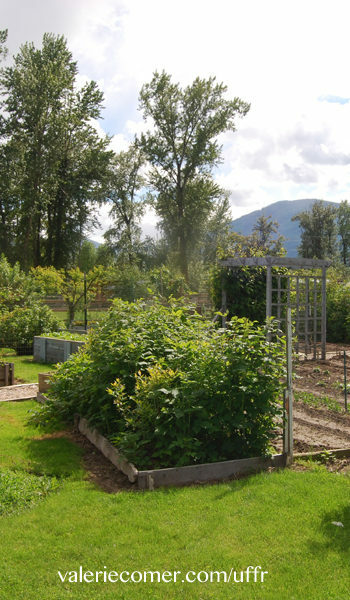 Soon it is time to get ready for the celebration at the Community Center, but first Wade and Rebekah come over to take me to see the permaculture food forest they started next to their home! Then we all go visit the Community and Butterfly Garden, with Violet leading the way and pointing out all the highlights in the many raised beds, like the gazebo built by Logan, and Jasmine’s bee hives and the butterfly plantings. Everything is coming in beautifully! The Center is packed with all the residents of Bridgeview, and I am welcomed as if I were one of them! Ray Santoro says a lovely blessing over the food and we all enjoy the many dishes all made from the local foods people have grown in their gardens and at the Community Garden, of course! Jacob shows me how the solar power works for the entire center, and frankly, I was quite impressed! It is a magnificent day, and I am sad to know I have to head home in the morning. The bright side, though, is that Adriana promises to have the drapes ready in six weeks, so at least I know I will be back to Bridgview again soon! Rebekah and Wade Promise of Peppermint: Will fear choke out a second chance at love? You can read their story free as a thank you for joining my email list. Eden and Jacob Secrets of Sunbeams: One animal control officer with her own escapee goat. One solar architect whose report has been eaten. Can romance and urban farming blossom on the same city block? Linnea and Logan Butterflies on Breezes: A shy landscape designer fears losing her heart to a hunky master carpenter helping create a community garden. Will he realize her value before he drives her away? Adriana and Myles Memories of Mist: A conflict-avoiding teacher. A take-no-prisoners PTA mom. All that pulls them together is the gardening class he’s reluctantly teaching. Jasmine and Nathan Wishes on Wildflowers: She’s never forgiving him for dumping her eight years back. He thought he was well over her — they’d only been kids back then. Can animosity turn to friendship… and then more? Also, clicking on many of the links will take you to my Pinterest boards! I had so much fun, Valerie!! Thank you for sharing! Thank you for sharing. Have a blessed day. Thanks for the tour! I’ll be looking forward to visiting Bridgeview soon! Bridgeview welcomes you! Plus, there’ll be a new story in September… hopefully! hey, now, just make sure it’s available when I go back…..lol, but there are enough bedrooms, maybe Brenda and I can share! You know, I think I am going to need my own permanent place in Bridgeview….. Better have Hanna draw me into that map…!! Thanks, Brenda, I cannot wait to go again! I am wanting to read another Valerie Comer book. Hey, Linda! Refresh your memory on Sweet Serenade……we start discussions on that one July 22nd! Yes, it was, and I am looking forward going back for another visit. Very enjoyable visit! One of these days I need to re-read all these books! 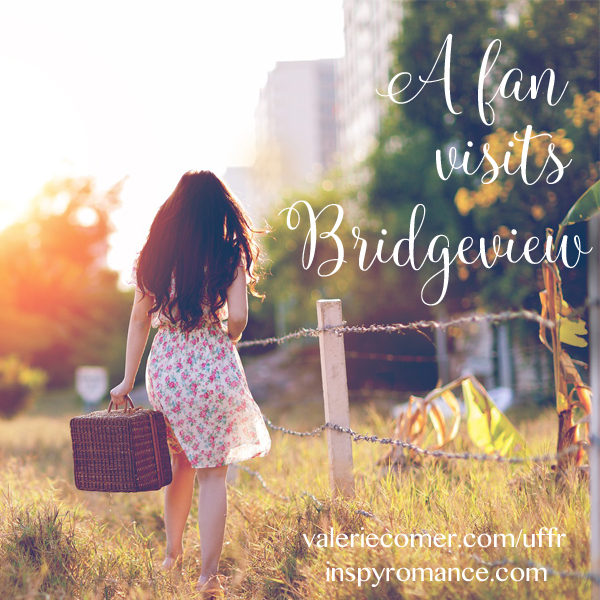 It’s nice to revisit Bridgeview and the characters again, but especially to say hi to Val and her #1 fan, Paula! I’ve recently gotten to know Paula, and Val, you couldn’t have a better and more dedicated reader/#1 fan/Facebook leader of your reader group! Of course, I’m sure you already know that! Thanks for the fun blog, ladies. Blessings! Thank you both! I feel like the one who has been blessed by our relationship!! That was so fun. Thanks Paula! Thanks for coming by, Jessica! Thank you, I had so much fun!! I’m not familiar with Bridgeview but would like to be. Hi Janet! Bridgeview is a (partially fictional) neighborhood in Spokane, Washington. As such, the public library is actually not far away, but in the city’s downtown core… outside the scope of this map. The reason for my asking is that I volunteer in the church library and have for almost 40 years. Looking forward to reading more about Bridgeview. That’s a long time to volunteer! Good for you. Church libraries can be such a blessing. I love the map, Valerie. I like everything laid out when I read a book. Me too! I love creating my own in Google Maps over a similarly sized and shaped town, but those can’t be cleaned up enough to share publicly since you can’t delete the original information, only add to it. So it’s a delight to have a prettified map to share! !